Here are three pieces of information for you being passed on from BRASSN (Ballarat Refugee and Asylum Seeker Support Network). The first is a link to an ASRC Newsletter titled 'Are we doing enough'? The second is a Light the Dark vigil held in Ballarat this Monday at 6pm. The third is from BRASSN member David McPhail, who will be participating in the Run 4 Refugees with a Ballarat team. 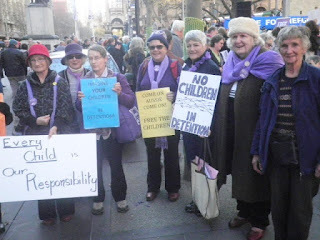 Grandmothers Against Detention of Refugee Children Ballarat (https://www.facebook.com/GrandmothersBallarat) and their Friends invite you to join them outside the Ballarat Town Hall 6pm Monday 7th September at 6pm to Light the Dark. We will stand in solidarity with people throughout Australia who support refugees and asylum seekers. Please bring a candle or torch. The image of a Syrian child's lifeless body washed up on the shores of a Turkish beach this week brought the world to its knees. His name was Aylan Kurdi, and he was just three years old. The sad reality is that Aylan was one among millions of desperate people forced to flee from war and persecution. The world is facing a global refugee crisis on a scale we've not seen since WWII, but Australia - our lucky country of a fair go for all - is not doing enough. We can do better to help these people. That's why on Monday night, we will light a candle to remember Aylan Kurdi. We will stand together in solidarity with ...people across the world who are forced to ask for protection from countries like ours. We'll shine a light in the darkness, in protest of our country's abandonment of the world's most desperate people, who seek only safety and protection. We will send a message to the world that our government's inaction does not represent us, and that Australia says welcome. 3. Ballarat Run 4 Refugees running the Melbourne Marathon. Sponsor David Mac Phail to raise funds for the Asylum Seeker Resource Centre. Would you like to support the ASRC by sponsoring our marathon and by circulating this email through your networks. I am running Melbourne Marathon again this year with the Asylum Seeker Resource Centre [ASRC]. We now have a Ballarat team which includes asylum seekers and refugees. Sophia, my daughter, is also running her first marathon with us. Ballarat Run 4 Refugees is raising much needed funds for Asylum Seeker Resource Centre. ASRC gets no government funding and is completely dependent on fundraising. Last year Run 4 Refugees raised about $250,000 which was about the amount spent on accommodation. In my role as volunteer Case Worker with ASRC I am able to say first hand how well this money is used for people who are otherwise homeless. 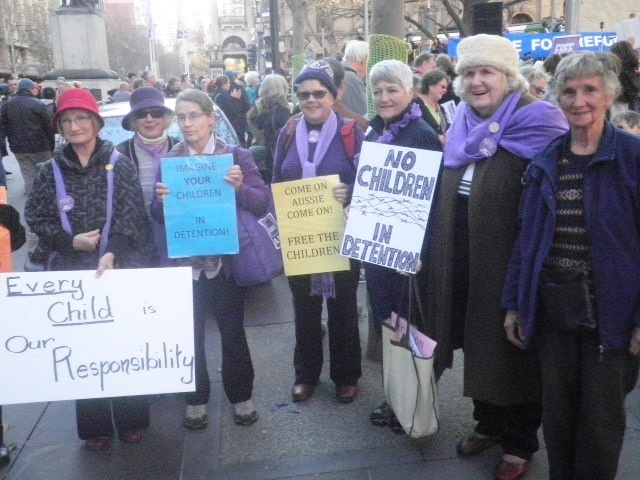 For 14 years the ASRC has been fighting for the human rights of asylum seekers. Over 10,000 people have been provided with sanctuary, support and hope by the ASRC in this time and thousands of people have won their freedom through this work. Your donation will help provide services to support people seeking asylum: legal appointments, housing, health care, employment services, English language classes, food and advocacy. You can make a donation by clicking on the link below to go to my fundraising page. There is also links to the ASRC web page for more information about the organisation. Hope you can sponsor me again this year.